With my legs feeling yesterday’s Stage 1, I was a bit worried about Stage 2. I kept reading on the Tour’s Facebook page how much everyone around the world was suffering. I guess that’s the whole point of this thing, though. 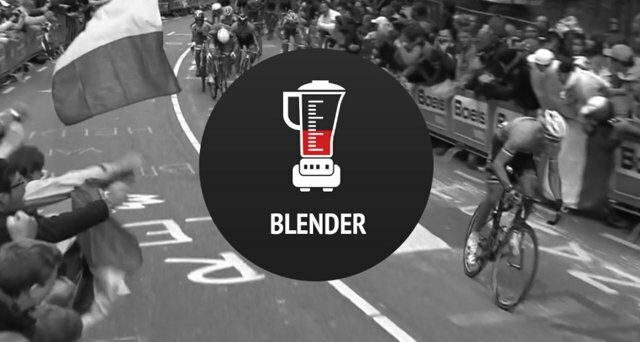 Stage 2 had us doing “Blender” – The Sufferfest’s second longest video at 1 hour, 44 minutes, and 27 seconds. That’s right. Nearly 2 hours on the trainer. For those of you who have never had the “pleasure” of joining us for the Super Century, that might seem like a ridiculously long time to sit on the damn trainer and ride inside. And you’d be right. But “Blender” was great, and the time really seemed to fly by. Sort of, anyway. I forgot to start my TrainerRoad app, so we had to pause the video and wait for the app to catch up. That just meant we got about 5 minutes of bonus warm up spinning. After the warm up, we got right into the work, and the first 10-minute threshold interval followed by a short recovery and then a VO2 Max interval hurt so good. I looked at the clock and couldn’t believe we still had an hour and twenty minutes left. But then I soon found myself sort of getting into a groove. My target numbers on TrainerRoad based off my FTP test were pretty much spot on for this first round of intervals. I managed to stay close or slightly above the recommended power level, but it hurt. And I suffered. The next thing I knew, we were through the first set of longer intervals and ready to start the second set of shorter, power intervals, working on VO2 and anaerobic capacity, and we were over halfway through the video. The power numbers on TrainerRoad were too easy for these shorter, higher intensity intervals, so I just pushed harder and went by Rated Perceived Exertion (RPE) instead of the power numbers. I ended up with a much higher power output for these intervals than TrainerRoad recommended (that’s why the yellow line is much higher that the blue in the photo above). I’m not sure what to make of that. That could mean I’m better at sprinting than riding at or just below threshold. Or maybe I need to retest my FTP. But then that might make the longer, threshold intervals too difficult. So, I’ll just finish the tour with the FTP I’m currently using and retest after the Tour is over. And if anything seems too easy, like the anaerobic intervals did, I’ll just push myself harder. After the anaerobic intervals, we had 3 more threshold intervals. These were tough since our legs were already fried. But we managed to finish, and we were both disgustingly sweaty – literally dripping onto the floor and without a dry spot on our bodies. It was fantastic. Why yes, that is a 2011 Fantasy Football Championship Banner in the background. After the cooldown, we hopped off our bikes, gave a few fist-bumps, and basked in our suffering. It was a really great ride with some awesome footage of road racing, mountain biking, cyclocross, and even some fat bike snow riding. 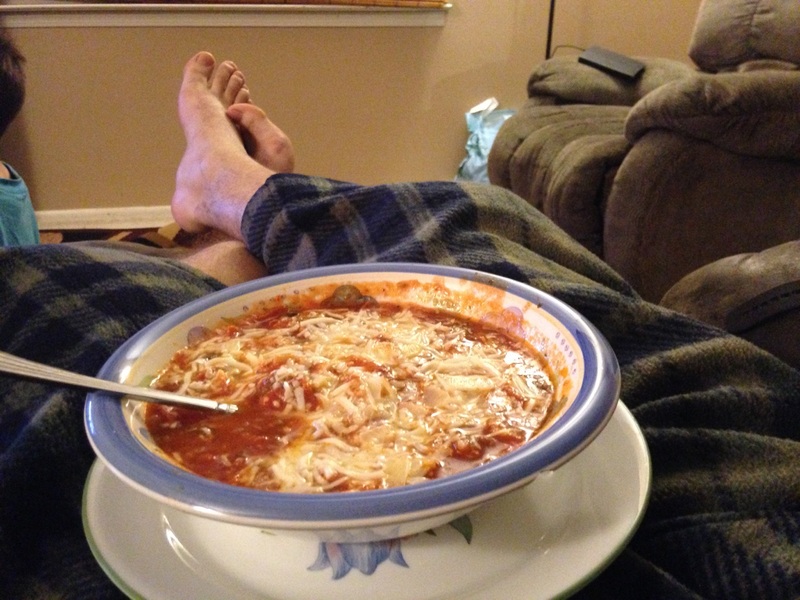 After saying bye to Robby, I headed upstairs where my incredible wife had a steaming bowl of homemade Pizza Soup waiting for me. It was just what I needed after a hard ride. Big thanks to the Mrs.
For the next few days, Robby and I will be completing each stage on our own since our schedules won’t match up until Friday. Then we will reunite and finish this thing together. That’s right, ladies and gents. Team Virtus will be riding in the Tour this year! No, not that Tour. Pffft! That’s for mere mortals and dopers. We’ll be riding in the Greatest Grand Tour of a Mythical Nation in the Whole Wide World. And it’s gonna hurt. 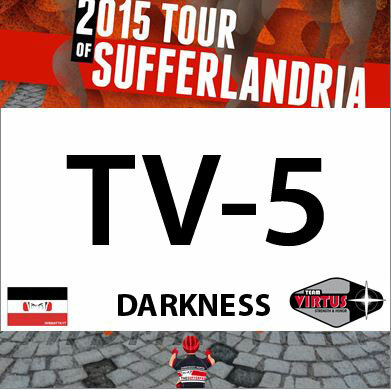 Robby “The Darkness” Brown and I have qualified for stupidly signed up for The 3rd Annual Tour of Sufferlandria (ToS), and we’re hoping others will join us for nine days of suffering on the trainer. That’s right, on the trainer. 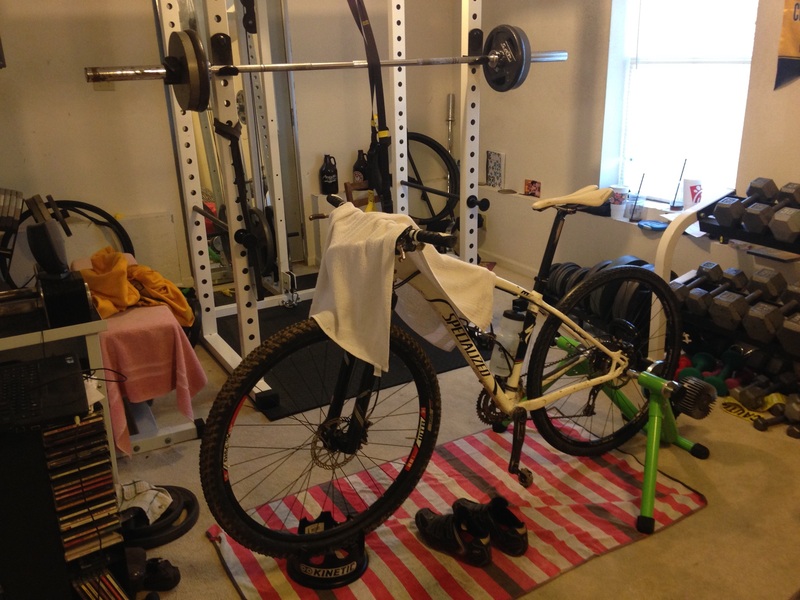 Stage after stage of brutal, indoor rides with The Sufferfest Videos that we all love to hate. 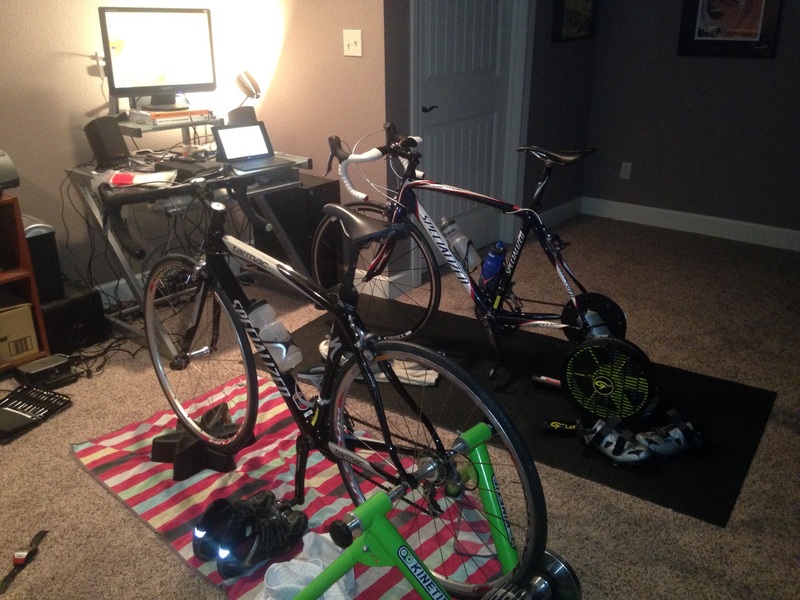 Here is one of our Bike Torture Chambers (BTC) for the Tour of Sufferlandria. Not familiar with The Sufferfest Videos? They’re the only things that make riding the trainer not just tolerable, but almost enjoyable in a sick, twisted kind of way. And they have already made me a stronger rider over just a couple of months. Stay tuned for more in-depth reviews of their videos in a future blog post. Here is my race number for the Tour. The ToS isn’t just about suffering, though. It’s about raising funds for the Davis Phinney Foundation for Parkinson’s. You can help me raise funds right here. As a bonus, for every $10 I raise and donate, I get an entry into a drawing for some really great prizes ranging from a sweet bike tour trip and carbon wheels to helmets, sunglasses, signed jerseys form the pros, and more! Here is Robby’s Race number for the Tour. I’ve also decided to try out TrainerRoad to track my stages on the Tour. I’ve only dabbled with TrainerRoad thus far, but it’s really cool. Using a speed/cadence sensor along with my Kurt Kinetic Road Machine Trainer, I’ve calculated my (embarrassingly low) “Virtual Power” Functional Threshold Performance (FTP). So now, I can more accurately ride each stage as The Sufferfest intended. Basically, this means I can suffer more and slack off less. I think I’m going to love it, and I think it will really help me track my workouts, stay focused on each stage, and improve my performance. I’ll do a review of TrainerRoad after the Tour is over – if I survive anyway. The 4th Annual SUPER CENTURY! Yes, we’ve done a metric century (100Km or 62 miles – whichever comes first) for the previous 3 years on Super Bowl Sunday, and we’re doing it again. Read this to see how this horrible idea all started. 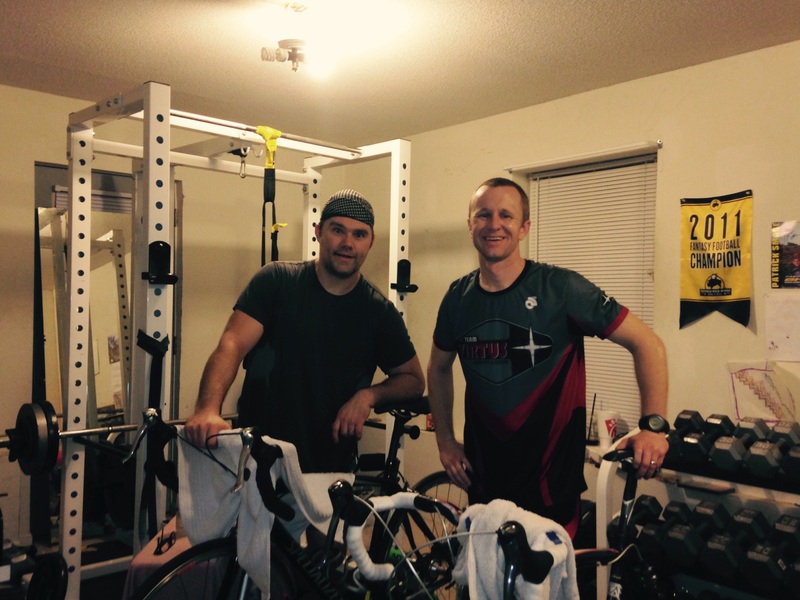 The Tour of Sufferlandria just so happens to end on Super Bowl Sunday. And the Tour just so happens to finish with their longest video – ISLAGIATT – which is 2 hours long. So that should give us a good start, but then we’ll just keep on riding until we hit the metric century mark. Hopefully, we can find some like-minded idiots other brave souls to suffer with us in person for the Super Century. You should too. But you can also suffer together alone with us via our facebook page and on twitter. Use and look for #SuperCentury and #MyTaintHurts. Stay tuned for more details on when we’ll actually start the Super Century on Super Bowl Sunday so we can all be idiots at the same time. Let us know if you’re doing the Tour. And let us know if you’re doing the Super Century. And definitely let us know if you’re foolish enough to do both the Tour of Sufferlandria and the Super Century. This is gonna hurt. Can’t wait.